If you’ve purchased a new television in the past few years chances are you bought a smart TV. 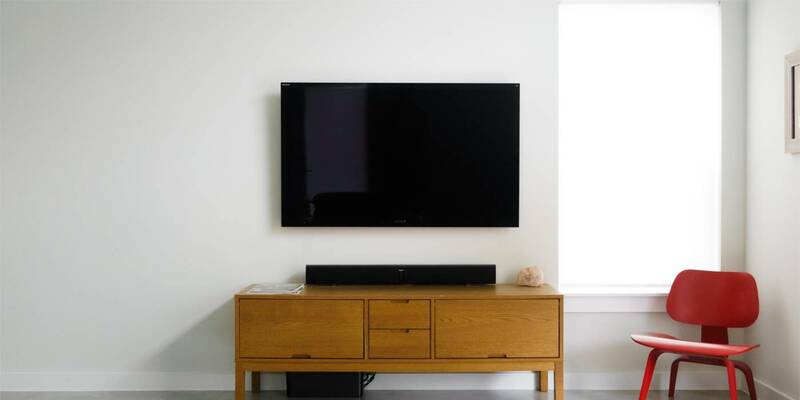 In many ways, these new TVs act like smartphones - they have “apps” you can choose from that allow you to watch anything from traditional television networks to specialized content, from independent content creators and live streaming brands. In addition to smart TV’s that have this technology built-in, there are a number of popular OTT ​​​​​​devices, like Roku or the Amazon Fire Stick, that you can attach to your TV for access to these offerings. 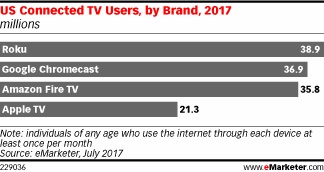 According to eMarketer, last year 168.1 million people used an Internet-connected TV. First, let’s discuss why your business might want to create and offer an app for smart TV’s. There are a number of different things this smart TV technology offers you. If you’re in the content business, or your business has found great success with video content marketing, it allows you to reach a wider audience, right from their living room. In some ways, it’s a lot like creating your own cable television network that folks can watch at home. Multiple revenue opportunities are available, as well. You can offer premium content that requires a subscription or a pay-per-view type model. Advertisements can also be integrated, like in traditional TV, to generate revenue. From a business to business standpoint, a smart TV app may be a great way to highlight your products and services. These apps provide a very easy-to-use interface where your clients can browse demonstration videos or infotainment-like content that holds the audience’s attention while educating them on your products and services. A smart TV app is a great way to deliver live video content in addition to videos on demand. Using tools like Switchboard Live you can stream your live videos to not only Facebook and YouTube but your custom smart TV apps as well. This is a great way for your current and potential clients to watch, on the big screen, live events, conferences, keynote speeches, product announcements, or even Webex trainings and webinars that you’d like to share with the public. A big challenge is that there are a number of different smart TV and OTT platforms out there, and most of them are proprietary. That means you’ll need to create an app for each system if you want to be on them all. Currently building these apps is not like building a website, which you can do on your own. The process instead can get a bit complicated, and for that reason it’s spawned a number of new tech companies that specialize in building and supporting these types of apps for you. One such company is the New York-based Odd Networks. This rapidly growing startup not only builds the apps you need for various TVs but they’ve also worked to build their own platform that allows businesses to manage their apps and the content in a centralized, easy way. The success of this new technology shows that like websites, iPhone apps and Facebook pages, smart TV apps have become the platform that businesses need to pay attention to if they want to reach the next generation of both consumers and business owners.